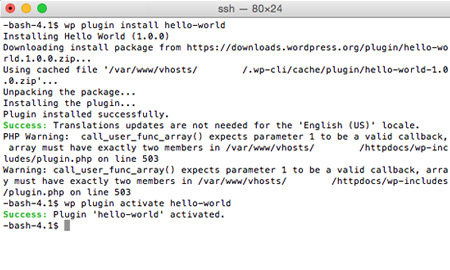 This is a quick guide to running WP-CLI on your WordPress Hosting account. 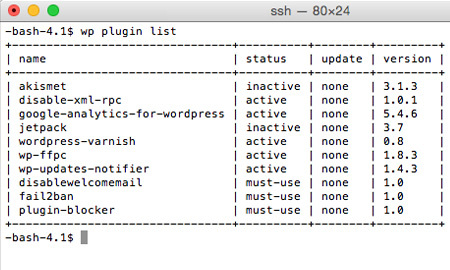 WP-CLI allows you to manage your WordPress site from the command line and is installed on all our WordPress hosting accounts. This may be useful if you need to make quick checks on sites, or for more advanced scripting usage. Shell access to your account uses the same details as FTP, so you may need to follow our guide on 'How to Manage Your FTP Access Details', in order to update your password. 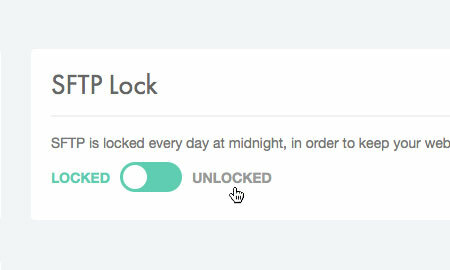 You will also need to unlock your FTP account. 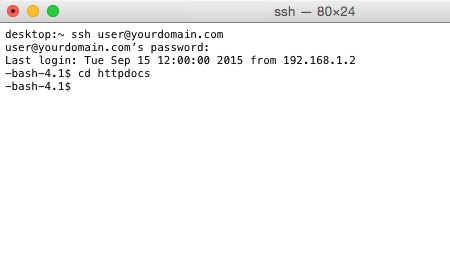 To connect, you should access your account with your FTP username. In this example, the username is 'user'. If you press enter at this point, you’ll be shown a screen of help, which you can close by pressing the Q key. This will check to see what plugins are installed, along with their version and status. You’ll notice a couple of PHP warnings. These can safely be ignored. WP-CLI is a very capable tool, and can do far more than we have covered in this knowledge base article. You can find a full command reference on the official WP-CLI website.